For those who missed the Social Media Marketing Course. Here is a brief report, complete with video lecture of the proceedings, of this extraordinary training that was conducted by the specialist in the subject Prof. Jyotindra Zaveri (known as Jyoti), on 21st and 22nd April 2012 at Pune, India. "We missed you !" 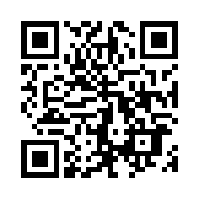 Scan the QR code to see this video instantly on your smartphone now! Participants were from various sectors of industries - Manufacturing Industry, Investment consultant, Software professionals, senior consultants, Construction business professionals, Marketing professionals, IT professionals, etc. Prof. Jyoti Sir introduced various digital platforms such as LinkedIn, YouTube, Twitter, Google plus, Facebook, Blog, and so forth. He explained how to leverage Facebook, Twitter, and LinkedIn for marketing and brand building. He gave case studies of foreign as well as Indian companies that are using social media, and how it has increased their marketing effectiveness. He gave away printout of his 132 slides PowerPoint presentation, to harness the power of Facebook, Twitter, and LinkedIn to get found by more potential customers, develop meaningful relationships with industry leaders, and position as an expert in your field. The presentation, which was used for discussions, is also published; subscribe to this blog and then email to get the complete PowerPoint slideshow free. He gave guidelines on preparing BLOG RULES or Social Media Marketing Policy document. Some of the topic that were discussed: Why social media is important for business. Web Analytic - How to measure results from your social media marketing efforts, and so on. He gave tips on ‘How to Use Facebook, Twitter, LinkedIn for Business’ . Topics such as: “What if someone posts a negative comment on the blog”, “Total cost of ownership (TCO)”, “How much time the SMM initiative takes to start showing the results?” etc., were explained. Prof. Jyoti sir emphasized on publishing proper profile with own foto. He also narrated some example to say that SMM is good, bad and can become ugly too. He elaborated on the web analytics report and gave examples of insight, available from YouTube. The graph, charts and real time reports informs the marketing executive about the status of the advertising campaign. He gave many examples of companies that have already started social media marketing in a big way, such as Waghbakri tea, Pantaloon, Tata Nano, Gucci, etc. He said, “Plan your time on social media sites, and do not be carried away”. Limit your time depending on your goals. Few movie clips and PowerPoint presentations were used to explain the basic concepts. Encouraging feedback were received from all participants. Mr. Chandrakant Golcha, CEO, Educare, thanked participants, and Prof. Zaveri.